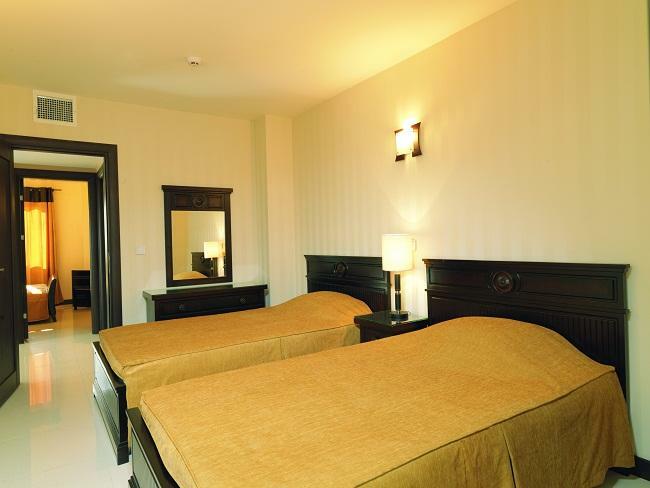 Tooba Boutique Hotel is one of the most beautiful hotels in Tehran that all services and facilities are designed specifically for each guest who may feel like the guests at home. We would appreciate your best selection to accommodate and entertain your dear guests at the Tooba Boutique Hotel. The units create their distinctive personal feeling; possibility of selecting guest favorites: favorite flower, fruit, smells, music and movie are complimentary. Single bedroom Apartments supplied with all the furniture and facilities required for comfortable living. 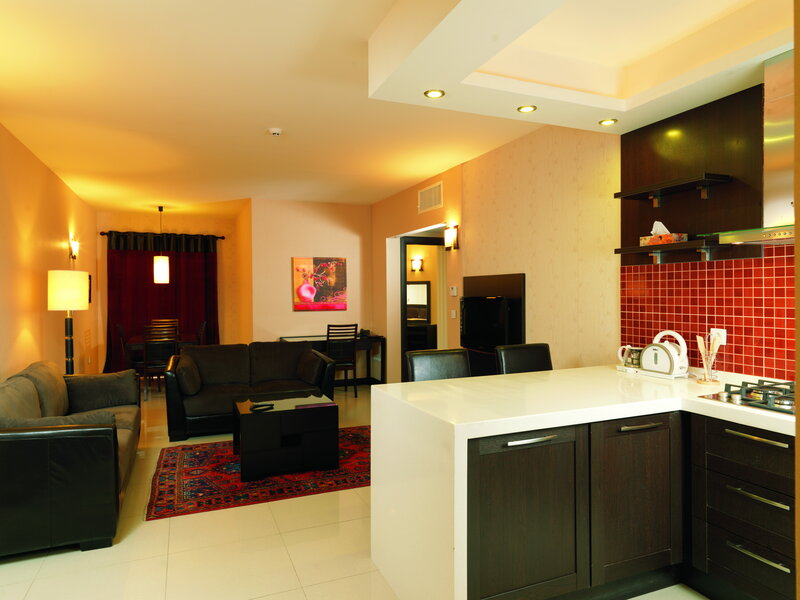 All the rates of accommodation included Buffet of breakfast, sport complex, hi–speed internet & private parking. 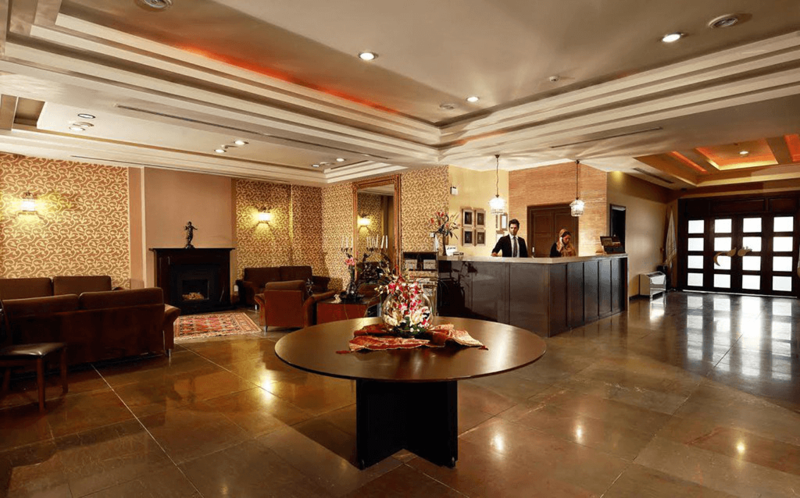 Tooba Boutique Hotel It is our glory to be your host for your conferences, meetings, ceremonies, training classes and any special events within hotel hall and meeting room. Conference room covers 80 persons with Video projector, smart board, any kind of microphones, white board and flip chart, Special flower decoration, High speed Wireless internet and also Meeting room has the capacity for 15 persons. Tooba Boutique Hotel has a Roof Top Café & Grill. Both the café and grill give guests a magnificent view of Tehran’s mountains. The Café is open all four seasons of the year, currently offering international foods and beverages. Other famous entrees at the Roof Top Café & Grill include different Italian foods, Burgers, Cocktails, cold and hot beverages. The multi-purpose hall can be booked for hosting medium sized events. 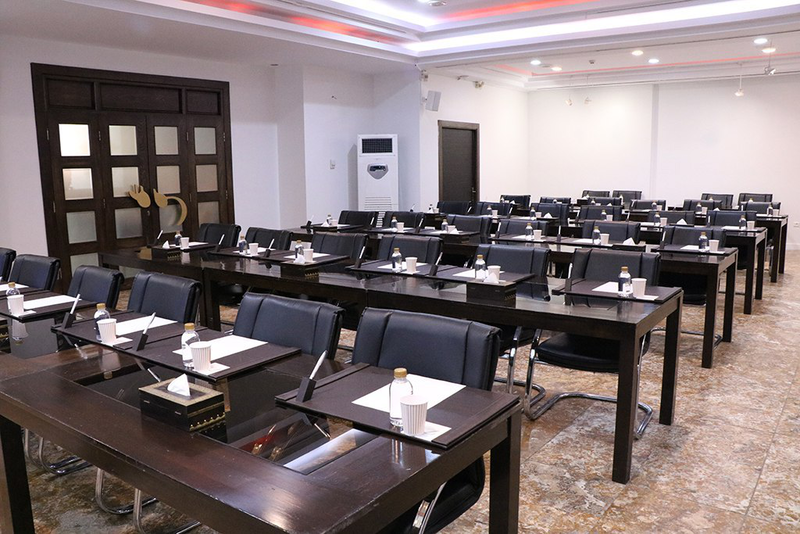 Tooba Hotel offers this Hall for seminars, training courses, and gatherings etc. For business purposes, Tooba Hotel has a conference and meeting room, with facilities like interpretation Multimedia/LCD Projector, audio-visual equipment and coordination for filming & presenter. This is a wonderful Hotel.The rooms are beautiful and special, the food and service are: And the location is very convenient. Brain Tracy - The CEO of IBM. I love your hotel. The atmosphere is warm and professional. I look forward to staying in your hotel in my next visit in Iran. With great love and wishes for you continual success. Marketing Specialist and also the CEO. Very good service, Excellent service, Very kind staff, I will be back, Merci! Tooba’s multipurpose hall has a maximum capacity of facilitating 80 people. You can book the Tooba Hall For seminars, training courses, etc. Each guest has the opportunity to modify their setup in their own style. For suppose, seating can be arranged in a “U” style, Classroom style or Cinema Style. Tooba conference room includes facilities like interpretation Multimedia/LCD Projector, audio-visual equipment and coordination for filming & presenter. It also caters Iranian and International Buffet, light snacks & lunches for meetings and conferences. 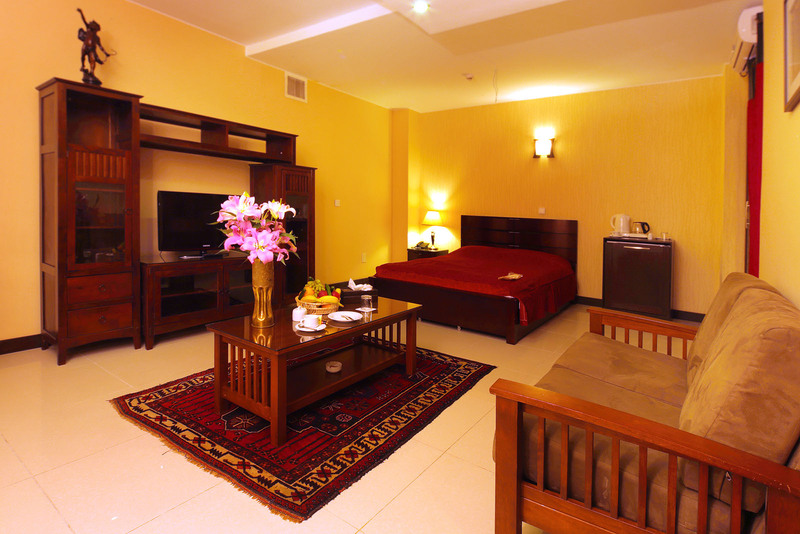 Everything is provided in an inviting, comfortable environment. A Catering Room, just near to the Hotel Lobby is also present, with a capacity of 30 people. Also, in Green area of Tooba Hotel, another space is available (only on specific seasons), with a capacity of 30 people. The Tooba Restaurant (Grill/Café) on the top of the Hotel throws a great view of Tehran, with a capacity of 80 people.